2017 marks the 50th anniversary of the Chevrolet Camaro. The popular sports car model was introduced for the 1967 model year and was crafted to fill a gap in the market: the automotive industry needed a solid competitor for the Ford Mustang. The Camaro succeeded over the decades, outselling the Mustang for several of its model years, and today is one of the best-known performance cars on the market. 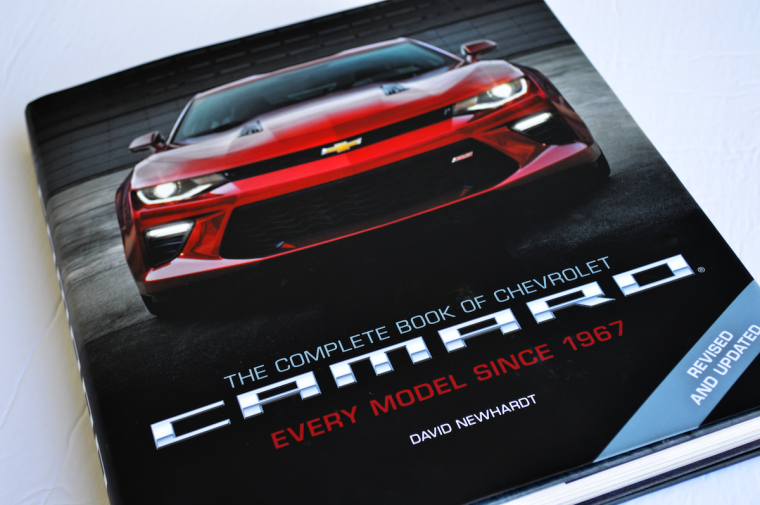 The Complete Book of Chevrolet Camaro: Every Model Since 1967 is a celebration of the historic model’s birthday, put together by author David Newhardt. The book dives deep into the details of each model year, pointing out the similarities and differences from year to year. As you dive into the meat of this heavy-duty coffee-table book, you’ll find it’s divided into several sections. The purpose of this book is to highlight, compare, and contrast each model year in chronological order. 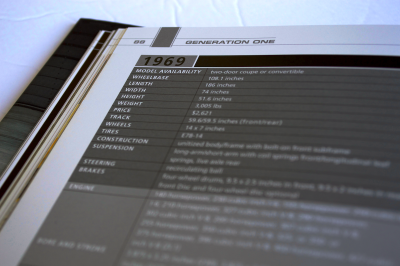 The book begins with the premiere model year, 1967, and explores the first generation. From there, the sections are based on the model generation, and then further divided by model year. You can see side-by-side comparisons of the different model years, noting how the exterior body shape changes as well as the performance specs under the hood. Each model year within the book includes a full list of specs in an easy-to-read chart form, as well as a narrative describing the happenings in the automotive industry, corporate Chevrolet, and the consumer demands of the time. It’s a fascinating glimpse into the past and how the demand for performance vehicles has ebbed and flowed throughout the course of time. 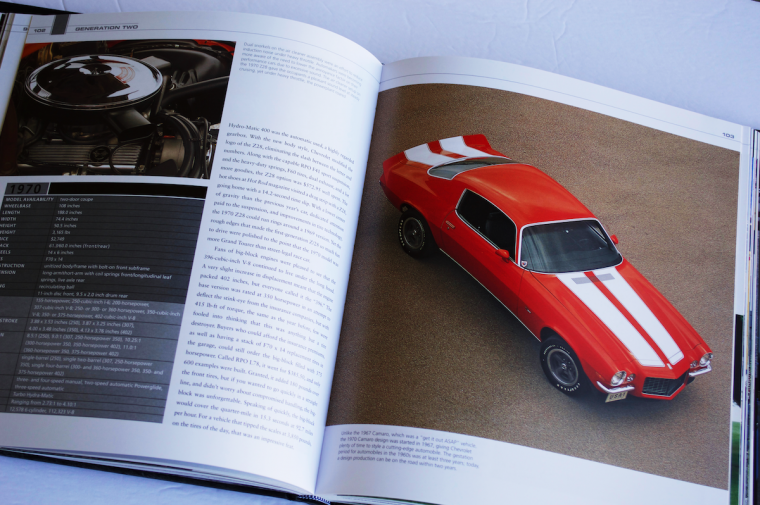 Bound to last, The Complete Book of Chevrolet Camaro is well-constructed. Its hard cover will stand up well to wear and tear, and its thick, glossy pages are high quality as well. The book is quite dense, with nearly 300 pages between its two hard covers, making it fairly heavy to carry around. While the book is hard-cover bound, it still opens quite easily and lays flat for easy reading. How the binding will hold up over time isn’t clear quite yet, but it doesn’t show any immediate warning signs. Overall, the quality of this product is definitely a 10 out of 10. The only fault in its construction is the weight, but a coffee-table book isn’t meant to be carried back and forth to work (unless you’re an editor taking it home to review it). For anyone interested in learning about the history of the Chevrolet Camaro, this is the book for you. Not only does it give an overall picture of the changes the Camaro has been through, but it gives some insight into the times; what was going on, what consumers wanted, what other cars were on the market, and what the technology looked like. David Newhardt’s narrative voice is extraordinary. The language used in the book will make sense to car enthusiasts, but it’s not too full of lingo and jargon to make it incomprehensible for everyday readers. Newhardt is straightforward in his word choice while maintaining his own style. 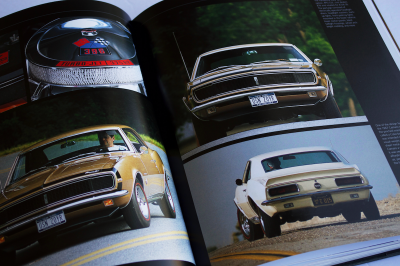 The Complete Book of Chevrolet Camaro also offers more beautiful photos of the Camaro than you could ever imagine. 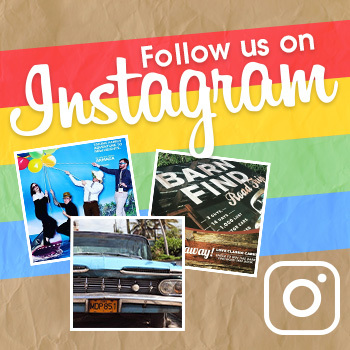 Whether you’re interested in the classic 1967 edition or the newest model on the market, you’ll find photos of the interior, exterior, engine, special editions, and more. The quality of this product is definitely out of this world – the weight is a bit much to carry in a backpack, but if you use it as a coffee-table book (as it is intended), the weight of the book is irrelevant. The pages are resistant to rips and tears, while the binding is strong enough to withstand children flipping through history. As the holidays creep up on us, this book would make a fantastic gift for any Chevrolet or sports car lovers. Whether they’re avid readers or just casual fans, flipping through the pictures and browsing the specs is exactly what this book is crafted for. 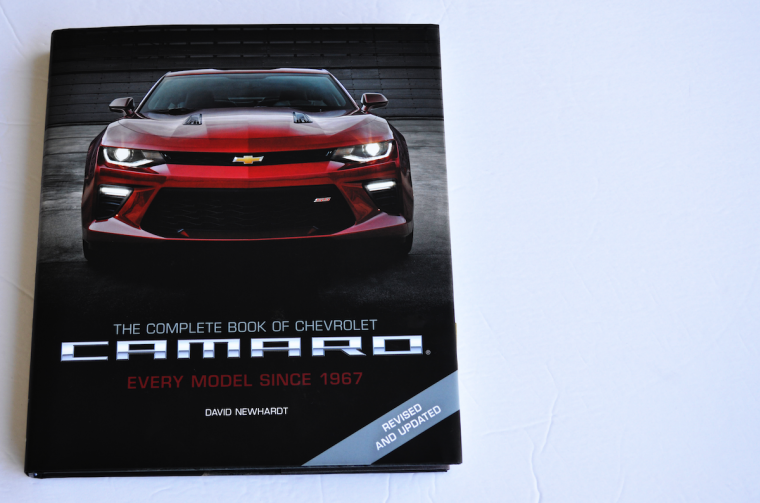 The Complete Book of Chevrolet Camaro is available through the publisher’s website, Amazon, and other retailers.